Armchair Property Investment. Is It for You? Obviously there are many fields you can choose to invest in but lets look at investing in property and how armchair investment features in this. Why invest in property anyway? Yes, there’s an element of risk when you invest in anything but as the saying goes ‘nothing ventured, nothing gained’ so you need be aware and take calculated risks based on the current market. We will always have ‘dips’ and ‘peaks’ where property prices plummet and then rise again, and in the ‘dips’ some people can find themselves in negative equity. This can happen when they’ve bought or re-mortgaged just before the dip, as unfortunately no one can predict when this is likely to happen. You can see that prices started to dip just after 2008 when the last reccession started, so if you were unlucky enough to buy a property then you may find yourself in negative equity today if you bought at full market value. BUT even if you had bought at full value, as long as you’re not intending to sell the property right away, then eventually its value will rise again. If you can, it’s best to buy property below market value but not everyone knows how to do this. House prices WILL rise again in the long term, so, despite the current property climate and all the negativity surrounding the subject, property is still one of the best ways to invest your money to be sure of a good return in the future as long as you intend to hold on to it long term. These are just some of the things you need to be able to deal with when you decide to use the ‘hands on’ approach to property investment. Of course this also involves using finance by way of fees and refurbishment but by far the biggest problem for most people is having the TIME to do it! 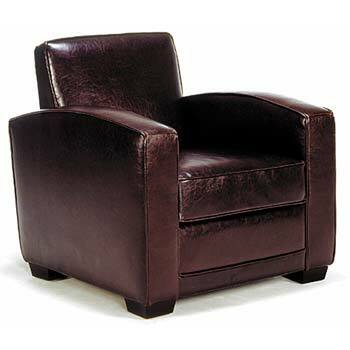 What are the benefits of ‘Armchair Investment’? If you realise the potential of property investment but aren’t the type of person who’s happy with the ‘DIY’ approach, or you’re not sure how to go about it, or just don’t have the time to do it all yourself then you should consider Armchair Investment. If you have an idea of how much you want to invest and where, then an Armchair Investment company will do the rest. They will generally find you ‘below market value’ property and sometimes manage it for you. Up to now I’ve preferred to source my own property and be ‘hands on’ and there has been some negative press in the past regarding some unscrupulous companies so I was quite sceptical about the idea of armchair investment. That was until I spoke to a guy called Colin Parker who has a property investment company in the North East called ONE PORTFOLIO. I first heard of Colin about a year ago after he answered some of my many questions on the Tycoons property forum (can’t remember which question – there were so many!) he was very helpful and I noticed he had a good reputation and was well respected by the other members. I spoke to Colin on the ‘phone regarding a deal I was contemplating and he gave me some sound advice. After speaking with him for a while I discovered he offered an Armchair Investment service which he told me a little about, however I wasn’t really interested because as I’ve said, I was quite sceptical at the time. I then spoke with him a couple of months ago and he invited me up to Newcastle to meet himself and his wife Karen who jointly run the company. Like a lot of people, I thought properties in the North were all run down and the areas were in a state of disrepair and this was why property up there was cheaper. I couldn’t have been more wrong! First of all, I found that Colin and Karen Parker were very welcoming, warm and down to earth people. They are honest, hard working and proud that they offer a second to none investment service, but the one thing that stood out to me was their genuinely ethical approach to their investors. They have built their company by showing respect and listening to what their clients actually WANT and their reputation for providing a great service is growing fast. However, you have to be quick because these properties are sent out to everyone on the companies list. There’s no ‘having a look’ at the property before hand or getting your money back if the surveyor down values it! Also, once these BMV companies have sold you a deal then that’s it, they walk away, and the rest is up to you! There’s no guarantees that it will stack, or that it will rent, or that it doesn’t need a lot of money spending to refurbish it. If you were going to source property yourself, where would you look and why? Well of course you’d look in your own area, because you’d know that area well, you’d know which are the good and the bad bits, you’d know whether the property was below market value and you’d know whether or not it was a good rental area and if you could find a tennant quickly. Which is why ONEPORTFOLIO only source property in their own area in the North East, because they know this area like the back of their hand and they know which properties will provide great investments to their clients. In fact they’ve been doing it for years! Why would you want to invest in the North East? Contrary to belief, properties ‘up North’ are not all run -down shacks, and it’s not all cobbled streets and mass unemployment! A lot of investors from London and the surrounding areas choose to invest in the north because properties are lot cheaper there and of course the yields are higher. They’ve found that as long as they get the properties at a good price, they cash flow well and they’re managed well they can have a ‘hands off’ approach and most of them never even see the properties, they don’t need to! Considering it was November when I went up to visit them it was cold, but the sky was blue and clear and Colin and Karen gave me a tour around the areas they buy property in. Newcastle, Middlesborough, Sunderland and the surrounding areas, and I was pleasantly surprised at how neat and tidy the streets were and how much regeneration was going on. As we were driving around Colin was giving a commentary on the history of the area, pointing out properties they’d bought for investors, talking about the regeneration projects and answering any objections I had. It was clear he knew his area very well indeed and I was very impressed with his knowledge and also his obvious passion for the area. Properties sourced are valued between £50,000 and £150,000 and are purchased for between £40,000 and £120,000. All properties can be purchased using buy to let finance so an investor would require a deposit of 20-25% of the purchase price. 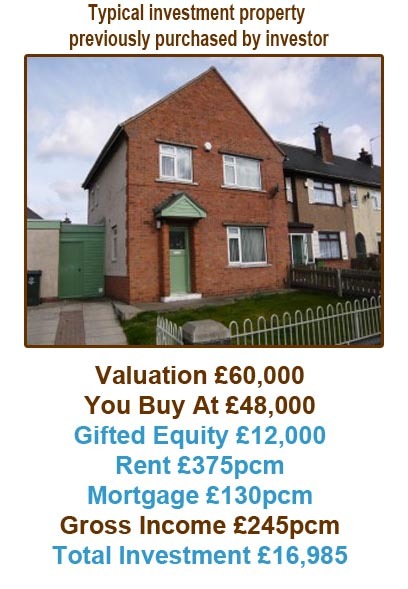 The typical investment required is around £20,000. You get a free one to one consultation with Colin who will invite you to have a look around the area so you can discuss your investment requirements and see the type of properties they source. ALL properties offered will be GUARANTEED 20% below market. When a property comes up that matches your requirements you will be offered it personally with a 12 page report on the property, it’s condition, rental & market value comparables, photographs, floor plans and any refurbishment that may be required. On completion of the sale, if required, the property will undergo a FULL refurbishment. A tenant will be found under strict guidelines, they will be credit checked and referenced thoroughly. The property will be fully managed for you, so if there’s any problems with maintenance etc it will be dealt with swiftly. NGU Lettings currently looks after 370+ properties for it’s investors. All this leaves you to get on with your life – stress free! Some Armchair Investment companies have asked up to £37,000 for this type of service but ONEPORTFOLIO require a reservation fee to show you are commited of just £485 (which is fully refundable if you change your mind) Then a further payment of £4,500 on completion of the sale. So the total arrangement fee is just £4,985 which includes ALL legal fees (survey & solicitor) AND it includes a full refurbishment of the property if it’s required. Their full managment service is just 10% of the monthly rental fee. If you can find another reliable company that offers a service that’s better than this then please let me know! 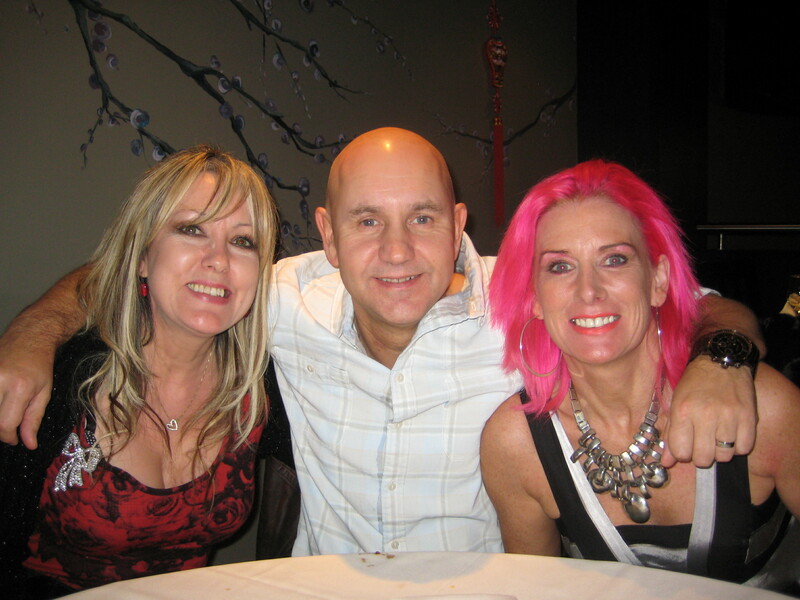 After our drive around the area, which took up most of the day, I went back to my hotel to freshen up then met up with Colin and Karen in the evening where they showed me the nightlife in Newcastle. Or “Let’s go oot on the toon” as Colin put it haha! I can thoroughly vouch for Colin and Karen and their company ONEPORTFOLIO, they came across as genuinely honest and sincere people who have invested a lot of time building an ethical, value for money GUARANTEED service. Indeed, many of their investors have gone on to buy more than one property with them when they’ve realised what a great service they’ve received. You Invest – We Do The Rest! Follow me by subscribing (free) to my blog at the top! This is both a very interesting and informative article thank you for writing it.